This topic I experienced that our PBL group has a lot of own experience to share with the rest of the group and that´s real interesting to take part of and to have a more “direct” use in. But I also yhink, as the scenario tells us, many people are afraid of use and share and publish, and get a feeling of loneliness with this, while they give up. That´s a sad situation. Cause using these sources of OER has so many potentials, benefits like saving money, a shared possibility to develop new and productive ideas, get a lots of help from each other, teamwork and collaborating, you have to communicate in any kind of way, I think it’s a good way to get a picture of how creative the learners are and how much the collaborate and help each other, the “classroom is bigger and wider. Yes, as you can see, there are a real chance you can´t lose. My eyes has become more open and wider, and also more curios than afraid, and that´s particularly because of our PBL work , amazing, how people with different backgrounds and experiences can get som much from each other – use it and don´t lose it. For me, as a beginner I think this document is a great way of starting and trying to use this, both for myself and also from a student perspective, don´t you agree with me. I feel now, more comfortable in what this is, and how I could use them and use I have the courage to try them, use them and recommend them, and I think this is future, and what we will see more of and what will this ONL course look like in a future perspective? Next > The course has come to an end…………….or? Hi Veronica! I wasn’t aware of this last document from February 2016. Thanks for sharing!There has been a lot of discussion and trying to find different models, in particular in Europe and US. Horizon 2020 Open Access guidelines. Thanks for sharing, Veronica. Thank you for sharing! 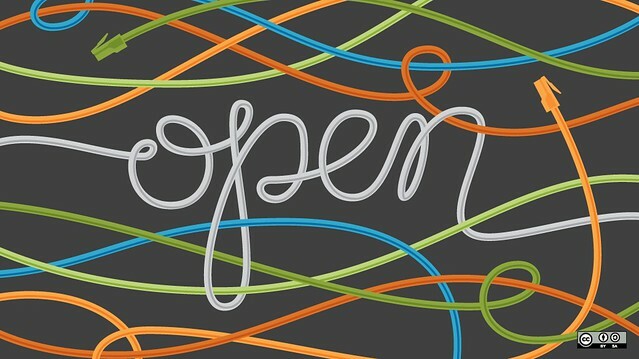 For me this topic and information about open access has been an eye opener and thanks to your links I learned even more. I also agree with you, using sources of OER has many potentials and people should be more informed about it. Hi Veronica! After reading your blog post I´m thinking even more about HOW to do this – how to realize it? Where do I find OER for my topics? The Internet is endless. Where do I put my resources? …and…are they good enough? This will be a challenge to overcome for me. Just like all the other already have embraced you for sharing the document I would like to do too 🙂 Thank you!